gives hosts the information they need to plan ahead, get organized and prepare to have the best holiday season ever! 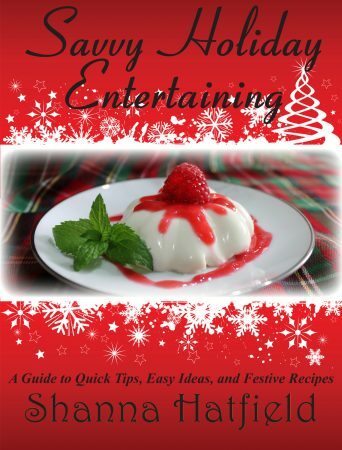 A guide to quick tips, easy ideas,and festive recipes every savvy host needs for a fun holiday! From tips on good enough housekeeping to ideas on menu planning, gift giving and table settings, this book is full of great ideas. A bonus section offers several simple holiday recipes sure to wow guests.